Surrounded by 23 acres of Oregon’s wine country, the L’Angolo Estate Tasting Room is a reflection of the landscape around it. The structure is comprised of two cantilevered roofs, inspired by the neighboring oak trees. Underneath the oversized canopy sits a simple cedar-clad form. Paired with the interior’s polished concrete floors and timber ceilings, the building as a whole takes on a minimalist design, much like the owner’s wine-making process. 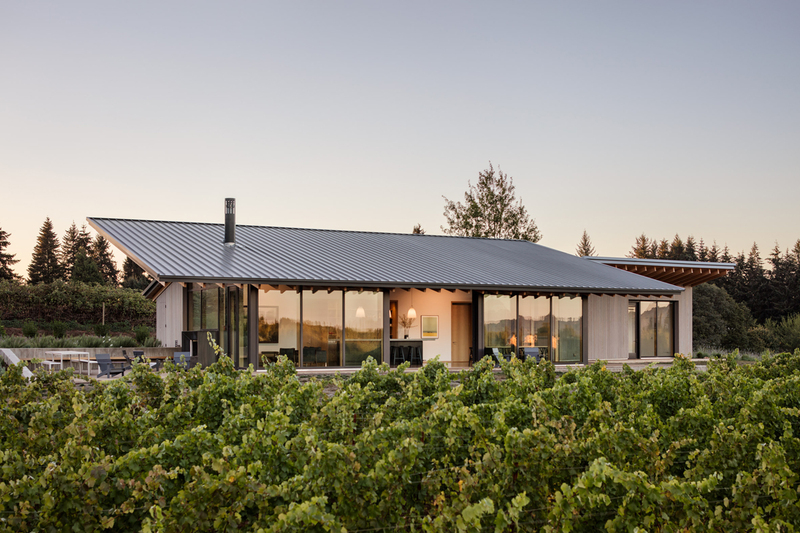 Panels of glazing encase the room, immersing guests in views of the valley while large sliding glass doors give a direct connection to the vineyard. Also we recommend you to check mindblowing Phillipe Starck’s Blade-Shaped Wine Cellar.